Light requirement: part shade to shade. Flower color: pale pinkish purple. Bloom time: June-Aug. 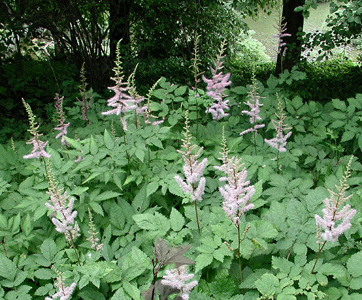 Attributes: tall pinkish-purple summer flower spikes. Colorful plant for shady areas.